Below are the list of items on sale today. Sorry for the crappy photos. One day only guys! hurry!!!!! HAG is having a ONE DAY only sales event at Sculpture Square this Saturday, 28 August 2010. 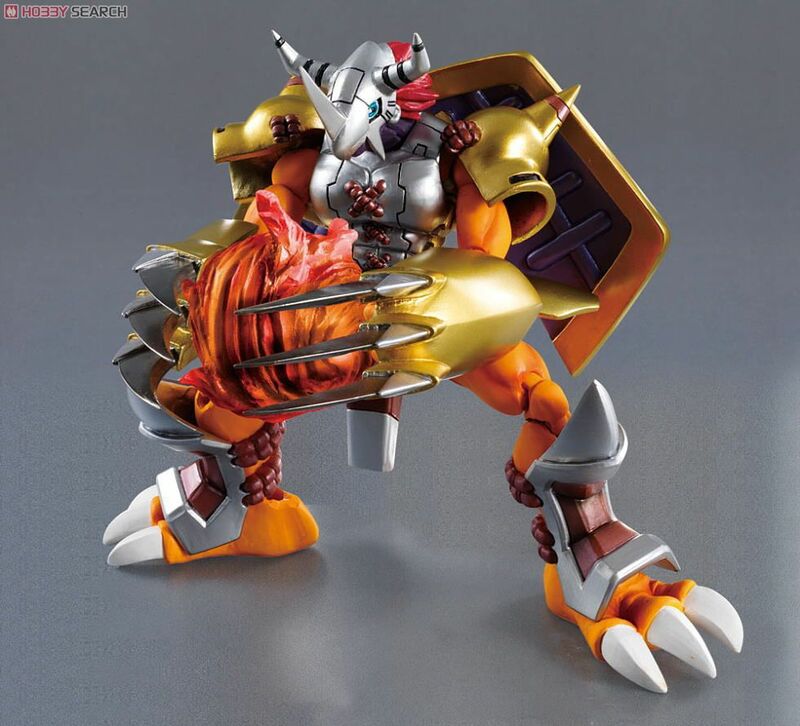 All Gundams and HobbyMate (HM) products on sale that day will have discounts ranging from 35% to 50%. However, do note that these offers are only restricted to this event and not at the shop in Sunshine Plaza. And while stocks last! On special promotion will be the Perfect Grade OO Raiser with a supporting base that only comes with its initial launch. This set will be going for SGD 299.00! This got to be a "must grab"!!! And of course, stocks are limited. "First of its kind in Singapore, A.C.M.E aims to be the local Comi-market, bringing anime and manga fans exclusive and limited merchandises from Japan, doujin works by artists from local and SEA scene, games on different platforms; and a great location for all fans to gather and share their passion." So guys, book this date on your calenders and get ready to burn holes in your wallets this Saturday!!! Before I begin, just want to say I am NOT suffering from Gundam burnt-out. 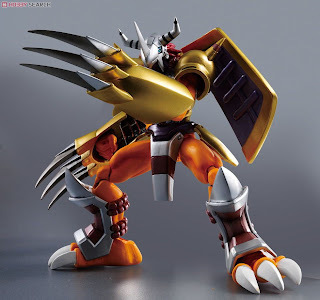 But I cannot resist what Bandai is offering me, WarGreymon from the Digimon series. I watched the anime a long time ago but I still like it till today. This looks very like an action figure/ doll to me but I am buying it nonetheless when it release in November. You know, when I look at Hong Kong and Japan, I always envy the folks there who get to see large-scale Gundam events. Well, not anymore. With the success of Gundam Fiesta 2009, Shengtai the main organizer, look set to make this year's event even bigger. 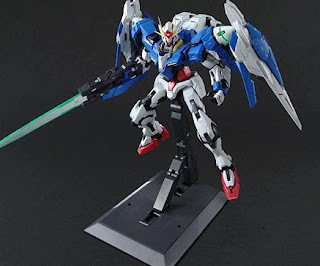 I could still remember the display of all the Gundams from the first series to the latest one and also the huge Gundam 00 and Three Kingdoms dioramas. This year promises to be even better looking at the website . I have absolutely no doubt this year's event will be a blast! I will be there on the first day and maybe everyday! :) Join them on facebook! How many times when you finished constructing your model and about to prep for priming when you discovered a part missing? Well, now I know how it feels. This has never occurred to me. So you can imagine how stunned I was. Naturally, I started scouting my work-desk for that elusive part and when that yields nothing, I expanded the search radius to the surrounding area. After an hour of searching, panic starts to set in. Now I think to myself, "Did I unwittingly swept that part into the dustbin? ", "Did I dropped it somewhere else?" And of course I am clueless. Today, I spent the whole afternoon ransacking my room for that part, every spot was scrutinized thoroughly. And at the end of it, I have nothing to show for my hard work (or waste of time). Back to Gunpla..... Well, at least my room is clean now.